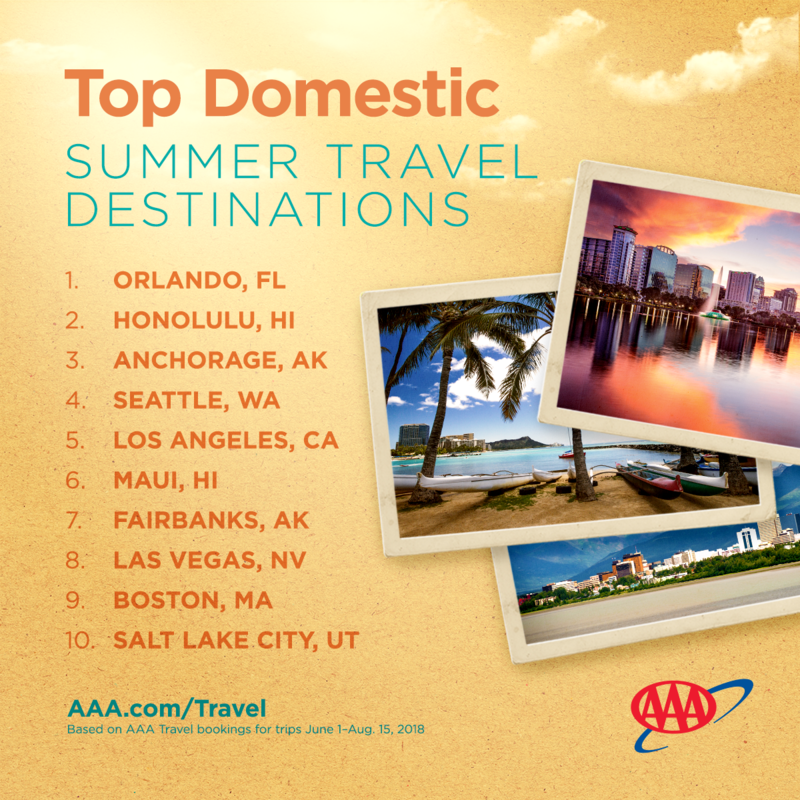 AAA travel planners reveal summer travelers seeking fun in the sun. 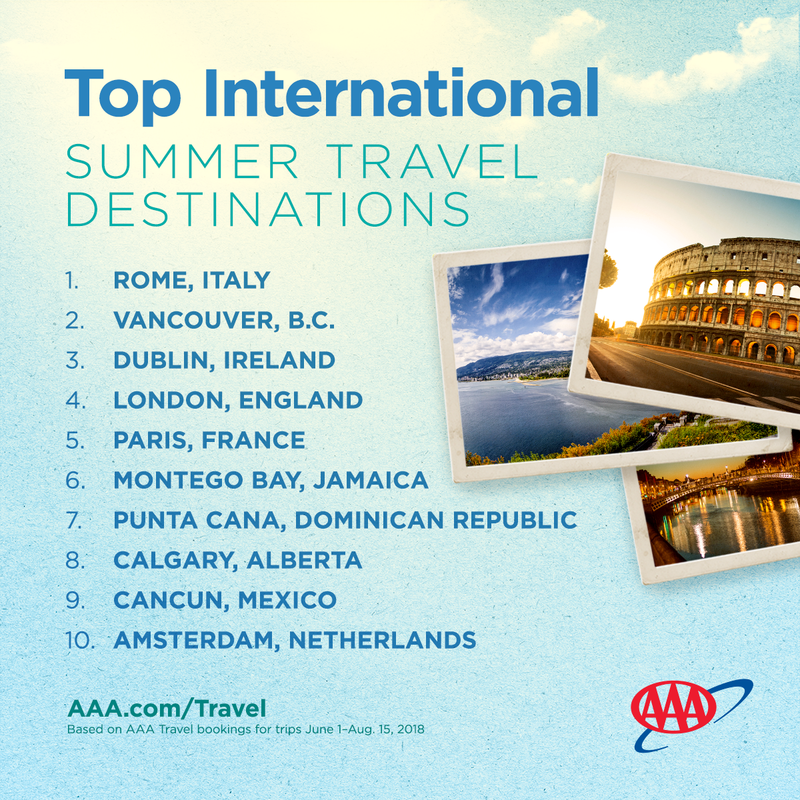 May 1, 2018 – Millions of Americans are counting down the days until their summer vacations, with most U.S. travelers planning trips to warm-weather destinations. Orlando has retained its top spot as the most visited domestic travel destination, while Honolulu and Maui, Hawaii, have both grown in popularity compared with last summer.